Oculus Rift vs HTC Vive – Better Sound Quality or Bigger Game Library? The question that everyone who wants to get into the VR world is faced with is Oculus Rift or HTC Vive? These two are the most popular VR headsets and they are competing against each other every day. Traditionally, Oculus Rift used to have the upper hand since it was priced at $400 while HTC Vive featured a hefty price tag of $800. However, their prices are near equal nowadays and people can never decide which one suits their needs the most. Today we will check out what these VR headsets have to offer and see which one is worth your money the most. Considering that these two headsets will be used for immersive VR content, their image and sound quality is quite important. In terms of hardware specs, the headsets are similar. Both of them ship with dual OLED panels which feature a resolution of 1080 x 1200 per eye and a 90Hz rate of refresh alongside a 110-degree field of view. While both consoles might be equal when it comes to image quality, Oculus Rift takes this round in terms of sound. Unlike HTC Vive, Oculus Rift ships with its own attached headphones which are very comfortable and offer a high-quality audio experience. On the other hand, HTC Vive owners are required to purchase a third-party headphone set. Obviously, these VR headsets are mainly used for gaming purposes. Therefore, their game library and support is a significant factor. Oculus Rift ships bundled with Eve: Valkyrie and Lucky’s Tale. On the other side of the spectrum, HTC Vive also features a bunch of free games which are specially developed to highlight the device’s VR capabilities. In terms of game library and support, HTC Vive is superior since it features multiple shooters such as Hover Junkers and Vanishing Realms. From the looks of it, Oculus Rift is cheaper and it offers a more impressive sound quality experience. 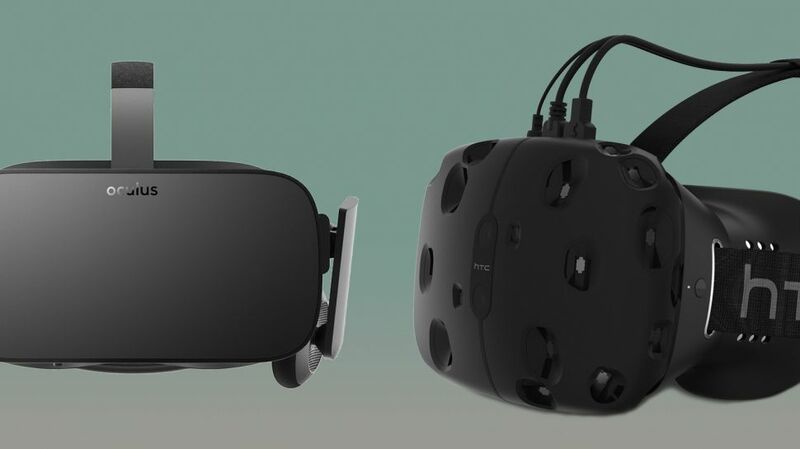 However, HTC Vive has a wider game library and requires a third-party headphone set. With that being said, it’s hard to say which one is the better VR headset and it falls onto the customers to pick which device suits their needs the most.